We are Spaniards, lovers of Spanish culture, New Yorkers. 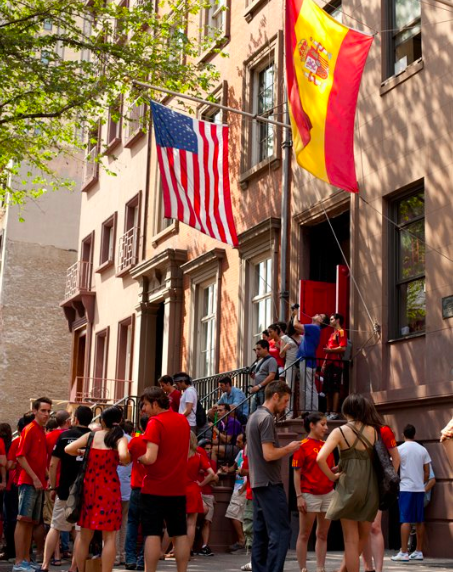 Inside a multi-functional brownstone at the crossroads of Greenwich Village, Chelsea, and the Meatpacking District, visitors discover the oldest cultural center in the city and a passion for Spain. 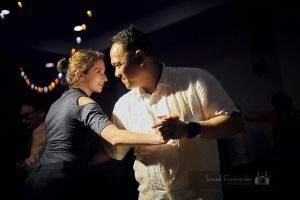 With live events, classes, authentic cuisine, art, music, and more, our not-for-profit organization supports the expression and promotion of a culturally diverse Spain. The Society is a final remnant of the once-thriving enclave known as “Little Spain” and our members seek to reinvigorate “Pequeña España” for the eclectic audiences we serve today. Spaniards of all kinds, including tourists, artisans, professionals and many others have benefited from our corner of Spain. It has served as a meeting ground for political dissidents and revolutionaries, avant-garde poets and artists – among them the groundbreaking director Luis Buñuel and the modernist poet Federico García Lorca, who wrote sections of his famous anthology “Poet in New York” during his stay at the Society. Since our founding in 1868, the primary objective of the La Nacional is to “promote, encourage and spread the spirit of fraternity and solidarity among Spanish and Hispanic-American residents of this country.” In those early years, we provided Spaniards with food, shelter, healthcare and afterlife services, while functioning as a home away from home. 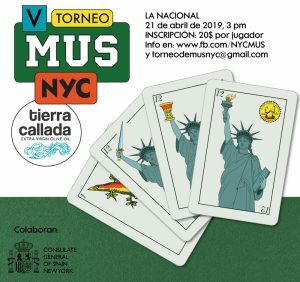 While the needs of our members have changed greatly since that time, the Spanish Benevolent Society still remains committed to assisting those who come from Spain to navigate the urban landscape of New York City.